UPDATE: We learned late last week that Roger Haston tendered his resignation from PetSmart Charities, noting 4/19 as his last day. We do not know the circumstances of Haston’s departure from the agency and we will not speculate. We asked Petsmart Charities for a statement or comment but none were provided. Let us all move forward with a fresh appreciation for the importance of being smart consumers of information. We have also learned that PSC and PetSmart Corporate share board members. 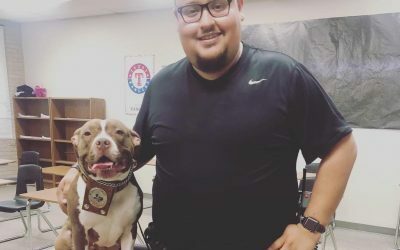 PSC has always claimed independence from Corporate, especially when questioned about Corporate’s ban on “pit bulls” from some of their store’s services. Corporate states this is on the advice of “experts.” We have asked for this list of experts multiple times and PetSmart has neglected to provide it. Given the nature of Haston’s presentation, we wonder if PetSmart Charities and PetSmart Corporate share the same experts. Until both entities opt for complete transparency, we’re only left with questions. Again, please remember to be careful consumers of information. Research your sources and opt for peer-reviewed science over fear-mongering. We recently viewed a presentation by PetSmart Charities’ Chief of Analytics, Roger Haston. We are disturbed by it. The issues with it are complicated and messy. We have been struggling with how to talk about it in a way that fits with the internet’s demand for bite-sized statements and video snippets. We have determined that we can’t do it, not this time. Instead, we are going to give you a lot of information in a variety of formats over the coming days, weeks, or however long it takes for us to sort this out. The problems with this presentation, titled The Future of Animal Welfare,” are insidious, deep, and multi-layered. We hope you watch our response video before you view Haston’s presentation, as it will give you an overview of why we are calling out Petsmart Charities. If you cannot play or listen to the video, you can read the transcript at the bottom of this post. In short, Petsmart Charities appears to be advocating for a return to the time when culling shelter dogs for convenience, or because of what the dogs look like, was acceptable. The presentation is, in our opinion, insidious. Petsmart Charities presents it as an effort to bridge differences between groups that war over sheltering ideology which is certainly laudable in most other contexts but proves only to be ironic when presented by Haston. Attendees who are not familiar with the sordid history of industry leaders fighting over which animals to kill and when might think this presentation really is about mending fences. It isn’t. It is impossible to miss the tone of prejudice in the presentation. Of course, dogs are quickly and overtly lumped together by appearance for easy marginalization. But, there are also two instances where phrases are used to categorize human beings. One more subtle than the other but neither should be tolerated. We wonder, if someone cannot even see fellow human beings as individual and too valuable to label and stereotype, is there hope for dogs? All attendees, regardless of experience or motivation, should be asking Petsmart Charities where the sources are for the claims they are making. Multiple requests for a bibliography or even just sources for the topics related to our areas of expertise have gone unanswered. Rather than simply listing our observations about the presentation again, or risk taking anything out of context, we are including my email about the presentation to Roger Haston. This email was sent on March 8, after a one hour phone call several days prior. You will notice that some personal pleasantries have been redacted in this email as have the names of people who are not public figures. Please do not consider the length of time between our call and this follow up email to be a lack of regard. It is not. We are thorough and, more often than not, that requires time to review, gather information, and check sources. We take you at your word that you have an interest in reading suggested materials and that you are guided by data and evidence, and it is in that spirit that we make the following observations. On the topic of dogs as a health risk, we have reviewed the slides you provided and also viewed a recorded presentation you recently gave in San Diego. Since only one of us, [redacted], had heard your presentation, we wanted to be sure we were correctly interpreting the intent of your slides. It was helpful to hear your narration. While it was already apparent from our call that your perception of risk for injury (regardless of vector) as a concept is different than what we understand from the risk perception literature, listening to the presentation made it clear that either Petsmart Charities, or you, personally, believe that dogs, particularly those from shelters either are currently or are soon to become unacceptably dangerous. If you are hoping for reliable dog bite data on bites that are not medically treated, you are bound to be disappointed as it does not and almost certainly can never exist. The CDC does track dog bite injuries that are treated at emergency departments through its Web-based Injury Statistics Query and Reporting System (WISQARS), which has shown a remarkably stable rate of these incidents over the last 2 decades. It is not, however, nor does it pretend to be, a comprehensive source of dog bite incidence or even of incidents at the treatment severity level, as injury severity is by no means the only metric people apply when deciding whether or not to seek treatment. With regard to fatalities, there was a time when some CDC sponsored research attempted to track dog bite related fatalities, but problems like the lack of standardized reporting and unreliability of witness reports, along with the very extreme rarity of these events led the CDC to stop collecting data. The linked information will help you to be a more careful consumer of information that may have contributed to your opinion that dogs are risky. I assume you have read the CDC report on dog bite related injuries and dog bite related fatalities. You have implied that shelter dogs will soon be a threat to public safety, if they are not already and that the shelters are “filled with dogs nobody wants.” These are, of course, completely separate issues, with no credible evidence in the literature for either. In any case, these positions are frankly astonishing to us, since they can only undermine Petsmart Charities’ mission and stated accomplishments. We could readily help you overcome your worry that nobody wants “pit bulls” or “chihuahuas” with real world examples by putting a call out for anybody who has adopted one of the dogs given these labels from a shelter to drop PSC a line about their dogs, to evidence that they were intentionally adopted and are loved. Moreover, Banfield’s most recent available data says that “pit bull” was the 5th most popular pet presented to their clinics for care. Your assertion of their unpopularity simply doesn’t hold up. As for the declining quality of shelter dogs, there is zero evidence to support the notion that shelter dogs (regardless of breed label) are becoming less safe. We need look no farther than the remarkable stability of the CDC ED treated dog bite data that spans 2 decades mentioned above. We would expect to have seen an increase in these events if the dogs adopted from shelters (a substantial proportion of the pet dog population) were in fact more inclined to inflict injurious bites as you contend has occurred as euthanasias have decreased. This simply has not happened. No uptick at all. Perhaps you are merely speculating but again there is no data at all on which to base such speculation. The harm to PSC’s mission that such speculation can create by spreading false alarms among your most crucial stakeholder audience is more than a little disconcerting. What we do know about shelter dog behavior is that the evaluations we had been relying on are not actually telling us anything useful in determining which dogs are suitable for adoption, failing to credibly document anything that would justify using them to make any important decisions about the dogs concerned. Fact checking is what we do and not just for those with whom we disagree. We have done this with the claims you make, both in your presentation and in your email to [redacted]. As it happens, [redacted] brother is quite literally a rocket scientist who worked on the space shuttle for the duration of the program. She confirmed with him her recollection of multiple conversations between them regarding the Challenger crash. Your claim that it resulted from unanticipated interactivity of potential system failures, a kind of butterfly effect analogy [redacted] is simply incorrect. [Redacted] is arguably the nation’s leading expert on animal hoarding. We asked him, and your assertions about animal hoarding increases (email and presentation) are not supported by data nor are they likely to be. On one slide of your presentation, you compare counties, cities and states as if they are equal bases of measure. And to present the claim of the mafia controlling Italy’s dog shelters and to then link those shelters to conditions in Bosnia and Taiwan (where dogs are consumed) is simply inexplicable. To present both as some kind of portent of what is to come for us if we don’t prevent these supposed unintended consequences of the no kill movement is an example of fear-mongering at a level we’ve seldom seen in this industry. What it may explain is your reluctance to share your bibliography with a member of your San Diego audience. You did concede on the phone call that you may have been unintentionally misleading shelter staff to think they are responsible for preventing dog bite-related fatalities. I shared your list of deceased people with our DBRF research specialist. There was some concern that the list itself might not be accurate since cause-of-death determination often changes once the lengthy and meticulous investigations such events are subject to are completed. However, her bigger concern was that you were not explaining to your audiences that 26% of all DBRFs result in criminal charges, including homicide, against dog owners and parents. It may support the point you wish to make to imply that dogs are to blame but it is misleading, and reveals an uncritical application of sources. It is simply unethical to use a list of dead people to arouse the emotions of your shelter staff audience in an apparent effort to manipulate them into thinking that they should somehow be responsible for preventing DBRFs. This would be so even if your data were accurate. In your presentation, however, you say that Antionette Brown was killed by a “pack of pit bulls.” This can serve no purpose other than as an attempt at stereotyping since we know that a breed label is not an identified co-occurring factor in DBRFs. And in this case, the claim is simply wrong. The dogs involved in this event were never identified, much less demonstrated to have been “pit bulls.” There were no eyewitnesses. A group of dogs initially thought to be involved were euthanized, but forensic DNA did not support their involvement. The photos of these dead dogs may have led to a media description of them as “pit bulls,” but to reiterate, they were the wrong dogs. This falls in the category of minimal fact checking before presenting inflammatory claims to a stakeholder audience. If your review of the photos of the dogs initially implicated caused you to label the dogs as “pit bulls,” you have provided a demonstration of our next point. 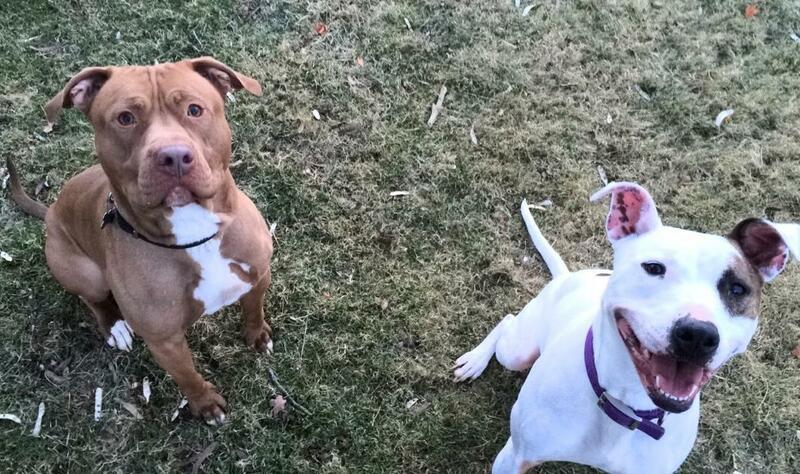 Whether you call a group of dogs “pit bull” or “blocky-headed whatevers,” if the dogs are lumped together for the sake of counting based on an opinion of appearance, you have simply created an arbitrary category to fit your purpose. Which brings us to what is the most troubling undercurrent of your presentation: you seem to think you can identify “pit bulls,” that you can count “pit bulls,” and that “pit bulls” are a burden and/or risk to sheltering. In your presentation you say that you met with a group of shelter leaders and you estimated that over 40% of the dogs in shelters are “pit bulls” as if you accept that 40% of dogs are actually genetically related. Such ideas are genetically implausible. You might refer to an infographic prepared by one of our genetics advisors for an accessible explanation of the genetics of mixed breed dogs. We would be happy to help your further if you wish to overcome the bias evident throughout your talk with regard to this undefined group of dogs. Why does all this matter? After all, as you said in the call, the DBRF stuff was only 5 minutes in a 50-minute presentation. It matters because you are seeking an audience and use your credentials as a spokesperson for PSC to gain their confidence. You brand your information with the PSC logo. And because the people and the animals who pass through the doors of shelters deserve for their leaders to do better. It is of course absurd to imagine that a single social institution like animal sheltering can threaten the inexorable progression of closer and closer relationships between humans and dogs that has been going on, all in the same direction for many, probably tens of millennia. The bond is far too strong for that. However, the kind of misinformation and bias we see here can do damage to individual dogs and the people who love them, as well as to the credibility of organizations who promulgate them. We urge you in the strongest terms to reconsider your approach. Our interactions with Petsmart Charities and Roger Haston have been unfolding over the past two months. During that time, our executive director has been direct with her questions not only to Roger Haston but also other Petsmart Charities executives. We have had communication with the national animal welfare organizations that have hosted this Petsmart Charities presentation. We tell you this because we don’t want you to have the impression that this is a hit piece, or some sort of “gotcha.” Actually it is quite the opposite. Petsmart Charities has been given two opportunities ahead of this publishing to comment. In fact, we delayed publishing by a day to give them even more time. We know that they will be discussing this internally today, but for us, we cannot delay our response because it is too big of an issue. Dogs and people deserve for us to speak up now. We are planning a Facebook live event for early next week so we can talk this through together and we can respond to questions for which we have answers. We are also working on a podcast with nonprofit structure experts where will discuss the overlap at Petsmart Corporate, Petsmart Charities and Chewy.com. Again, no “gotchas” to be had, here, just an effort to understand how the corporation is structured. When we looked into it, it was news to us, so it might be news to you, too. My name is Stacey Coleman. I am executive director of Animal Farm Foundation. We decided to add a video to our blog because the topic we are about to take on is difficult, ugly and it feels pretty big. Sometimes just words don’t do a subject justice. By now, most dog owners and shelter advocates know that Petsmart corporate discriminates against dog owners by not allowing dogs they call “bully breeds” to participate in store services. Petsmart Charities has always claimed autonomy from Petsmart corporate. In other words, when advocates for change cry foul at the Petsmart corporate policy, Petsmart Charities says they are separate and do not discriminate against dog owners. Historically, we have been able to take them at their word. Petsmart Charities has a reputation of supporting programs that treat all dogs as individuals, regardless of breed label. Petsmart Charities is underwriting and branding a presentation called The Future of Animal Welfare”. Petsmart Charities’ Chief of Analytics, Roger Haston, is traveling around the country, giving shelter workers and community members his view of what the future of animal welfare is, and the future he sees is pretty bleak. One of our directors saw the presentation in NYC in January. Until then, I had never heard of Roger Haston. Our director was concerned about the messaging and brought it to my attention. I found the presentation online and asked topic experts to watch and weigh in, too. Once I became familiar with this new direction for Petsmart Charities, I engaged Roger Haston in communication to discuss the sources used, offer better sources and to introduce updated research. Regardless of the evidence presented and no matter the sources presented, I was dismissed as having only “opinions” or of being “passionate”. His words, not mine. Roger Haston is promoted by Petsmart Charities as an analytical thinker with a Ph.D in Geophysics and an MBA. The official website bio says he comes to animal welfare because of a passion for animals…the very same reason I was dismissed. None of this was making any sense to me. I still had so many questions! Why NOW is Petsmart Charities targeting “pit bull” dogs, or as Roger Haston calls them “blocky headed whatevers”? Why does Petsmart Charities think that shelter dogs are a threat to public safety and that it is up to shelter workers to prevent dog bite related fatalities? Why do they think 40% of the dogs in shelters are not wanted by adopters? If that was true, which it isn’t, what is Petsmart Charities proposing we do with those dogs nobody wants? Why does Petsmart Charities think it is ok to use the label “brown people” as a way to divvy up those who care about animals? What are we supposed to take away from the claim that the Italian mafia is running Italy’s dog shelters and that if we are not careful American animal shelters are going to go the way of Italy, Bosnia and Taiwan? Until 2017, it was still legal to eat dogs in Taiwan, which is a ridiculous comparison to America, so the only intent could be fear-mongering. Where are the sources for all of this? And, how does any of this meet the mission of Petsmart Charities? We weren’t sure what to do about this presentation and Petsmart Charities but we know we couldn’t just let their messaging go unchecked. If your curiosity gets the better of you and you decide to look for the presentation yourself, please be a smart consumer of the information. Look for the sources. Look at the data and wonder where it came from. Wonder about relevance to the topic. Look for motivation. I shared the entirety of correspondence with the acting director of Petsmart Charities, Deb Turcott along with a personal plea to explain the new direction. To Deb’s credit, she responded almost immediately and said she would look in to it and get back to me. Above all else, from this moment forward, please vow to be a careful consumer of information. If there wasn’t an audience for sloppy information, sloppy purveyors of information would go away. Before you share it, verify it. Before you promote it, check sources. In the end, this Petsmart Charities presentation won’t even register as a blip in our very long and absolutely amazing history of living with dogs but for now we have to spend some time and grey matter putting it in check. At Animal Farm Foundation, we are not willing to allow the words of single organization to take us back to a time when it was acceptable to euthanize shelter dogs because they were inconvenient or because of what they look like. I don’t think you are willing to, either. We must put science over habit.